Let’s face it with the holidays upon us, you’re probably traveling a lot. Even though we’re at the beginning of October, if you have family across the country, you’re probably fishing through all of the travel sites to make sure you get the best deal possible. From following Expedia diligently to comparing prices on Kayak, you’re probably ready for the holiday season to be over before it’s event started. If you’re traveling a lot this holiday season, then even though it’s October, you should start to get ready. After all, this year has flown by already so the next month will as well. In today’s blog, we’ll be covering some helpful tips on making this holiday season easy for traveling. You might think you have it down to a tee on the best way to navigate the crowded airports or the correct way to fill your bag with as many items as possible, but these tricks will help you save money, time, and promote smooth sailing — at least until you get to the airport. You may think that there’s nothing easy about traveling during the holiday season, but with these tips, you’ll be prepared from the time you start packing to when you get to the airport. Once you arrive at an airport, all bets are off, which you should know if you spend time traveling. The first tip we have for you is to hire an airport transportation service. We know that you might think it’s easier to just drive yourself, but consider all of the benefits to hiring an airport transportation service. You’ll save money on parking, you’ll save time, and you won’t have to worry about where to park or rushing through the streets of Cincinnati or Dayton. Additionally, an airport transportation service will get you there in a timely fashion without you needing to worry about missing your flight. Another helpful tip is to prepare your documents a few days before you head to the airport. 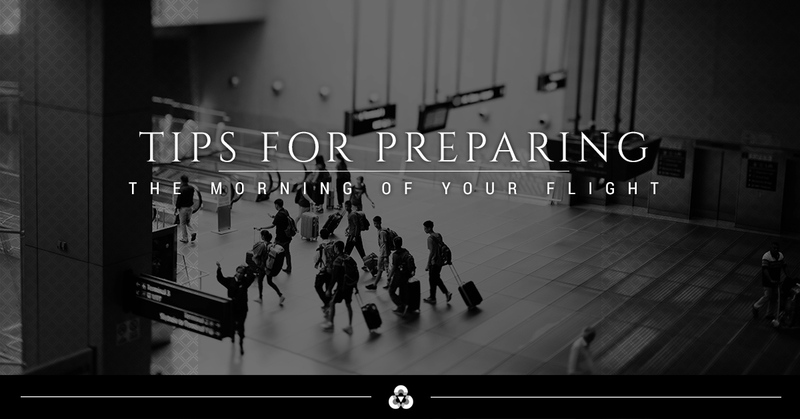 We suggest a few days because if you can’t find your documents, you have to print the tickets, or you need to plan your morning or day accordingly, you’ll have the necessary amount of time. By taking some time a few days before your trip, you’ll know where everything is so the morning of you won’t have to worry about looking for ID or not being able to find the tickets. With the ever changing items you can bring and not bring on a flight as well as the weight of your suitcase, it can be difficult to know what to pack. You probably know you can’t bring liquid items on the airplane that are over a certain weight, but did you know that you have to sometimes pay extra for carry ons? Gone are the days where you can pack anything you want to bring on the plane, now you need to pack smart to ensure you don’t pay extra or hold up the line because you forgot you couldn’t bring a pocket knife or a larger bottle of shampoo. For more information on airport transportation services and the best way to travel this holiday season, stay tuned to our next blog.